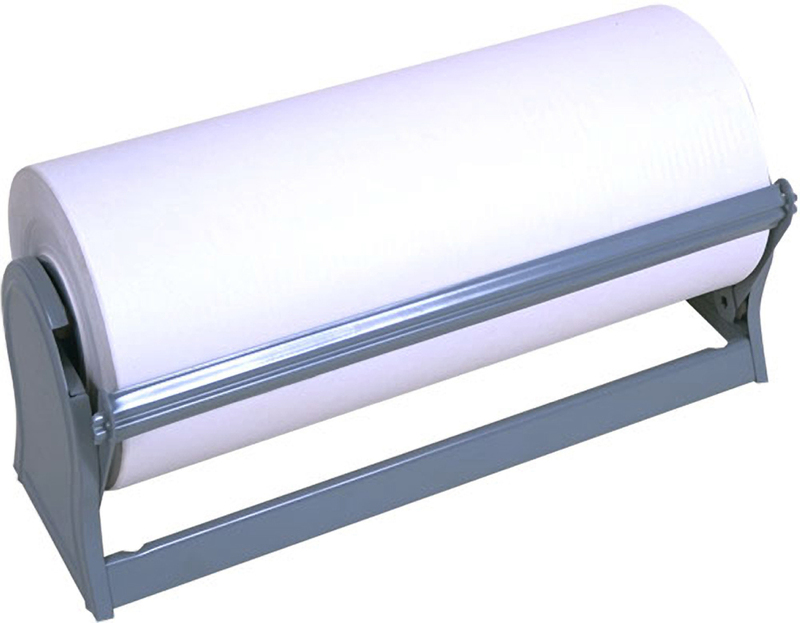 One complete welded frame complements and strengthens the already excellent design of the Standard Dispenser to make it the Deluxe model. 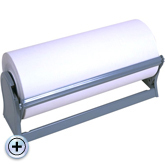 Includes rubber feet protect surfaces or the cutter can be mounted on counter, under the packing table or under-counter or on a wall (mounting hardware not included) Holds up to 10" diameter roll. When ordering serrated version, please specify mounting method. Finished in a light gray powder coat. Ships assembled to destination.